When you’re training hard in the gym, and building that solid, sculpted frame, you need every advantage to reach your goals. TestoFuel can contribute to a big part of your progress, and you can even combine it with other effective supplements, to get there even faster. As with most supplements, some work better together than others. This article will outline our recommended supplement stack, along with supplements you should be looking to avoid. 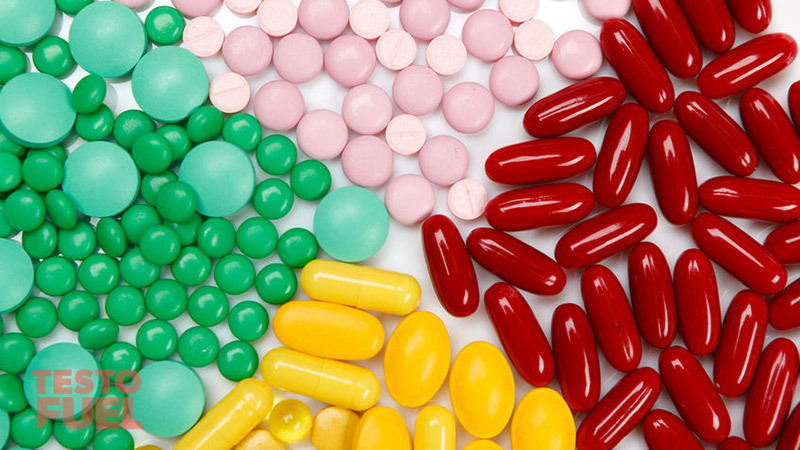 Although you don’t need to take any additional supplements to get good results, there are always ways to improve your experience and progress. We’ve prepared a list of the supplements that get the best results when combined with TestoFuel. If you’re already using these supplements – or thinking about adding them to your stack, these are why they’re so effective with TestoFuel and, one of the better choices. When you’re gaining muscle, you’re typically on a bulk – and one of the side effects of that is fat gain. It’s very rare for anyone to pack on a lot of muscle without gaining fat in the process. With a natural fat burner in your supplement stack you can minimize the amount of fat you put on during your bulk. This promotes staying ripped while you’re gaining size, and gives you a lot less work to do come cutting season. 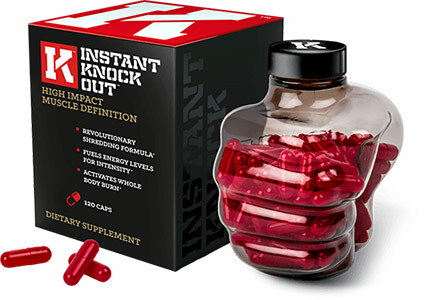 One of the best you can come across is Roar Ambition’s own natural fat burner Instant Knockout. Originally designed for MMA fighters, this fat burner is targeted at athlete’s who want to cut fat quickly. It helps increase energy levels, suppress appetite and burns fat. Perfect for attaining that shredded physique. To make muscle gains or lose fat, you need to perform at your best in the gym. Let’s face it, sometimes the last thing we want to do is hit the gym and lift weights. Especially after a long day at work. The cause of this problem? A lack of energy and motivation. Well, a pre-workout supplement can give you that ‘kick’ you need to get yourself into gear. This will ensure that you make the most of your gym sessions, giving you with the best chance of realizing your fitness goals – faster. If you’re looking for a safe and effective pre-workout, then 4 Gauge is the only product that’s free from artificial sweeteners and flavors. 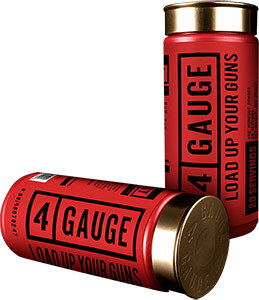 Presented in a shotgun shell, this is an explosive supplement that’s designed to deliver intense muscle pumps, enhanced endurance, strength and focus in the gym. To make sure you get the best out of your workouts, you want your body to have everything it needs to grow. That’s where multivitamins come in. With nutrient-rich ingredient profile, multivitamins ‘fill in the gaps’ of the nutrients you could be running low on. Although you could have a fully balanced diet that you believe gives you the nutrients you need, a demanding workout can deplete what you’ve stored which may need topping up to keep your recovery at the optimum levels. This is a great choice for anyone looking to up their size, while still keeping their tight, lean figure. 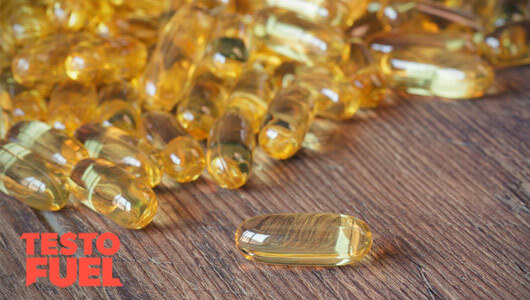 The fatty acids in fish oil have been seen to encourage fat loss, while also improving cognition and preventing muscle breakdown. On top of this, the nutrients have also been linked to reducing the risk of heart disease and stroke along with a range of other effects which raise overall health. A classic supplement that has been around for years, creatine monohydrate is cheap to buy, easy to use, and above all effective. With numerous studies linked to this supplement, creatine has been seen to help lifters by boosting strength, improving cognitive function, and even raising testosterone levels over longer periods of supplementation. While many pre-workouts contain this nutrient, it’s shown to be beneficial to take up to 10g creatine a day; this means you won’t have any problem with consuming creatine both in a pre-workout and separately. It’s great for explosive power if you do a lot of heavy lifts or put a focus do a lot of compound movements in your workout. We’re not being petty against the competition here, we’re looking out for your safety. Other testosterone boosters on the market sometimes use similar to ingredients to the ones in TestoFuel – and given that TestoFuel’s nutrient profile is already potently dosed, this could lead to you to absorbing too much of certain ingredients. For the best results we recommend avoiding using any product with TestoFuel that is high in Zinc, Magnesium, Vitamin D3, B6 or D-Aspartic Acid. These are supplements that are the combination of Zinc, Magnesium and Vitamin B6 – all three of which TestoFuel already has in high doses. The main problem here is definitely the Zinc, as it is the easiest to surpass with the recommended tolerable upper limit (TUL) of 40mg which can lead to side effects. TestoFuel contains enough zinc (10mg) to give you the added boost you need for training, while still being able to work with high zinc diets of the common lifter which is usually rich in red meat and fish. Going above this limit can lead to all kinds of problems such as decreases in immunity levels. poor copper absorption, nausea, headaches, fatigue, stomach irritation and vomiting. Definitely what you don’t need when trying to make progress. 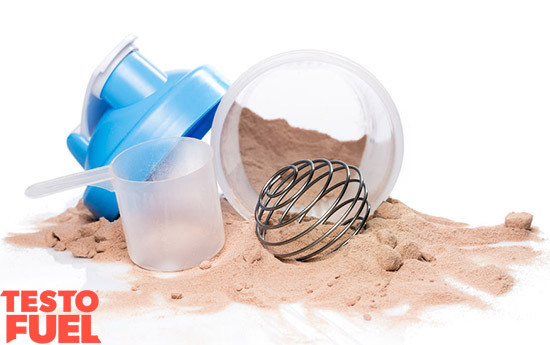 Although protein shakes are thought to be the must-have supplement in every stack, they’re not as necessary as you may think. The idea that as much protein as possible is the key to muscle growth is unfortunately a myth. A good amount of protein is necessary for building muscle, however, cramming in as much as possible isn’t. By taking in more protein than you need, your body needs to work harder to process it, which releases the stress hormone cortisol throughout your body. On the whole, if you’re looking to pack on lean muscle mass at a steady pace, TestoFuel can the do the job just fine on it’s own. However, if you want to help it along the way with a complimenting supplement stack, the above options are all great choices for helping improve your progress. Creatine and a good nitric oxide booster should be your main options if you’re just looking to pack on mass. However if you want a leaner approach, a fat burner with fish oil tablets are another good way to go. Whatever you’re goal, a multivitamin will provide you with those extra health benefits, however you should avoid Zinc and Magnesium as TestoFuel already packs quite a punch with that here. Graham AS, Hatton RC. 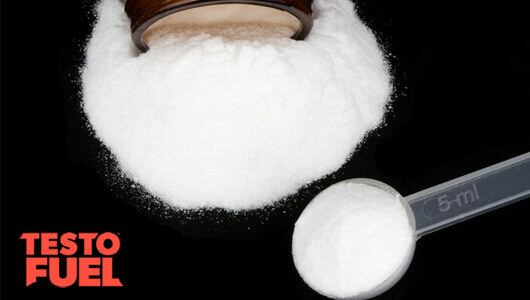 Creatine: a review of efficacy and safety. J Am Pharm Assoc. 1999;39(6):803–810. Rae C, Digney AL, McEwan SR, Bates TC. Oral creatine monohydrate supplementation improves brain performance: a double-blind, placebo-controlled, cross-over trial. Proceedings of the Royal Society B: Biological Sciences. 2003;270(1529):2147-2150. doi:10.1098/rspb.2003.2492. Hoffman JR, Ratamess NA, Kang J, Mangine GT, Faigenbaum AD, Stout JR. Effect of creatine and ß-alanine supplementation on performance and endocrine responses in strength/power athletes. Int J Sport Nutr Exerc Metab. 2006;16:430–446.